SIMPLE IRAs grow on a tax-deferred basis. 1. 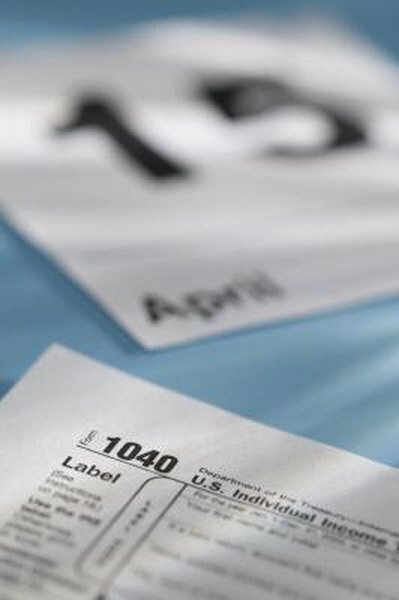 Do You Have to Pay Income Tax on a 401(k) Withdrawal? 2. Is a 401(k) Pretax? 3. Can a SIMPLE IRA Be Converted to a CD? A small business with 100 or fewer workers may sponsor a Savings Incentive Match Plan for Employees Individual Retirement Account, commonly known as a SIMPLE IRA. As a participant in a SIMPLE IRA, you enjoy many benefits that include tax-deferred growth, but certain types of SIMPLE IRA withdrawals are subject to a hefty 25-percent tax penalty. You can participate in your employer's SIMPLE IRA plan if you earned $5,000 or more during the last two calendar years and you are expected to earn at least as much during the current year. You have the option of depositing a portion of your salary into the account on a pre-tax basis. Your employer may also contribute funds to the account, and both the principal and earnings are sheltered from income tax until you make withdrawals. Unlike other types of employer sponsored retirement plans, your SIMPLE IRA funds are 100-percent vested. This means that both your employer's contributions and your own belong to you from the day of deposit. Technically, you can make SIMPLE IRA withdrawals at any time, and these withdrawals are subject to state and federal income tax. As with other types of IRAs, you must pay a premature withdrawal tax penalty if you access your SIMPLE IRA funds before reaching the age of 59 1/2. On other types of IRAs, the tax penalty amounts to 10 percent of the withdrawal amount, but on SIMPLE IRAs the penalty rises to 25 percent if you access funds within two years of establishing the account. Beyond the two-year mark, the premature withdrawal penalty drops back to the standard 10 percent. You avoid the premature withdrawal penalty if you withdraw your SIMPLE IRA funds in the form of a systematic payment plan that is designed to last for the duration of your life. You also avoid the penalty fee if you are the beneficiary of a SIMPLE IRA, or if you use the cash to cover certain medical expenses. Additionally, you avoid the penalty tax if you become disabled, or use SIMPLE IRA funds to cover certain costs related to medical insurance, educational expenses, or the purchase of a home. While you can sometimes avoid paying the penalty fee, you must still pay ordinary income tax. If you leave your job, you can roll your existing SIMPLE IRA into another retirement plan and continue to enjoy the benefits of tax deferral. You may incur the 25-percent tax penalty if you attempt to roll your SIMPLE IRA to another type of retirement plan, such as a traditional IRA, within two years of first funding the account. In such instances, the Internal Revenue Service recharacterizes the rollover as a taxable withdrawal, and you pay ordinary income tax plus any applicable tax penalties. You avoid both if you roll the SIMPLE IRA into another SIMPLE IRA plan. Do I Have to Pay Taxes If I Rollover My 401(k) to a Roth IRA?